We here you asking: what is matcha tea? Matcha is growing in popularity all over the world. Long used in traditional tea ceremonies, called chanoyu and is a processed green tea (Camellia Sinensis). Instead of steeping the tea leaves in hot water, it is a powdered form of special green tea leaves. These specialised tea leaves are grown mostly in southern Japan near Kyoto. 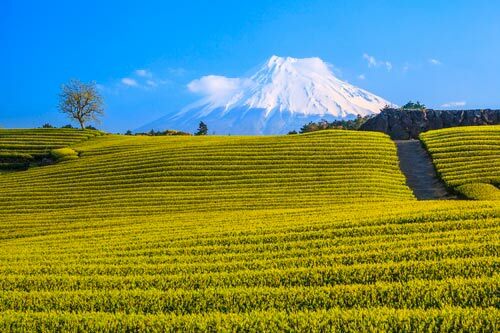 The process for milling and growing the tea leaves that we know call matcha was begun in China in the 10th Century, but the Japanese have overtaken the Chinese in claiming matcha as their own – and perfected it! Matcha’s trademark tea texture is obtained by drying, and then grinding the tea leaf chosen for the Tencha Shiagecha. The leaves are shaded in the few weeks before being picked, and this increased their chlorophyll levels, giving the leaves their signature beautiful emerald green colour. The dried tea leaves are then stone ground into a fine powder. 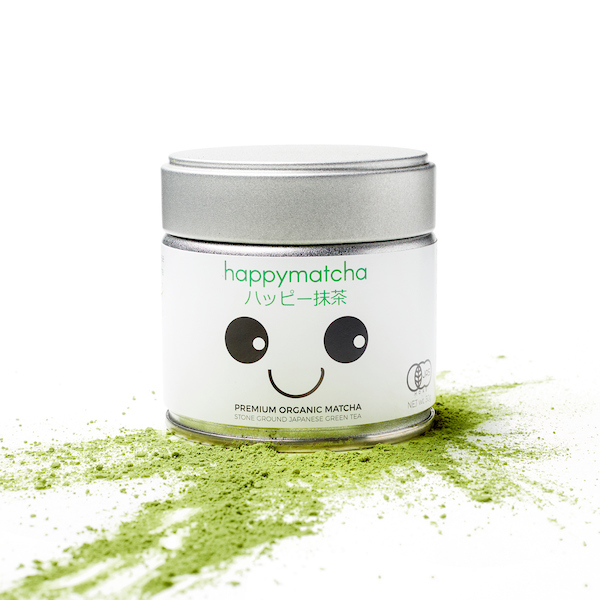 This matcha powder is then whisked together with hot water to make a suspension of ground tea in water, instead of a traditionally steeped tea mixture. Matcha tea has approximately 70 milligrams of caffeine per an 8-ounce serving (1 cup). This is about half the caffeine that an average cup of coffee would have. Because Tencha Shiagecha is finely ground green tea, it has more caffeine than regular, steeped green tea does as the drinker is consuming the entire leaf. Originated in 10th Century China, he process of powdering and storing tea leaves in bricks was begun around 618 to facilitate the transportation of tea leaves more easily. Eventually, this tea was powdered and then mixed into hot water as matcha is today. Later on it became an important part of the Zen Buddhist monks tea tradition and was brought to Japan in 1191. This tea ceremony remains an important part of Japanese Zen Buddhism, and also an important part of Japan’s history. The tea ceremony was originally performed only by royalty and Samurai warriors, but eventually, it moved into a popular ceremony for the upper echelons of Japanese society. To begin with, the tea ceremony was performed only for very specific groups of people because of the expense of producing matcha. The chanoyu (茶の湯), sadō, chadō (茶道) or tea ceremony is a solemn occasion filled with ritual and beauty. 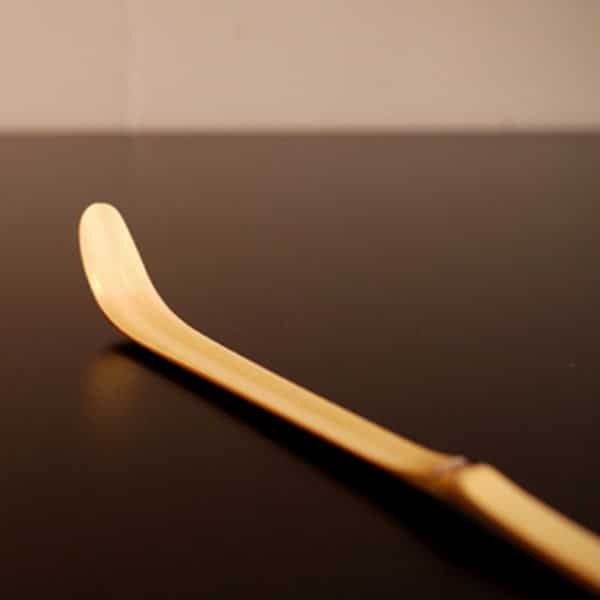 Special equipment is used, from the beautiful ceramic cups to the bamboo whisks. Special care is taken during the ceremony too. The behaviour of both the guest and the host are prescribed by ancient etiquette. In the tea ceremony, the matcha is mixed into a thick tea, or Koicha. The Koicha is made with double the amount of matcha powder and half the water. This forms a much thicker tea, almost the consistency of paint for the tea ceremony. The steps of the tea ceremony are always followed to the letter, but the ceremony can vary depending on many different factors such as the purpose or theme of the ceremony, the season, the location, the formality of the guest list and many other reasons. The basic steps of the tea ceremony begin begin with a ritual of washing to signify purification. 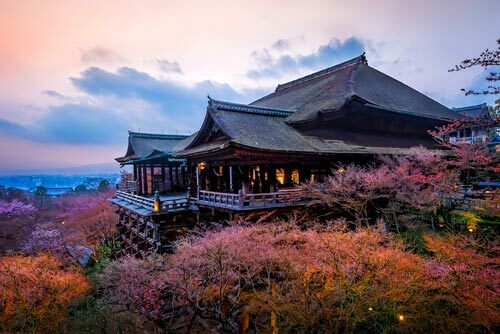 The most formal of tea ceremonies involves a meal and several changes of the decor, with guests moving in and out of the tea house to signify different portions of the ceremony. The guests are summoned back into the tea house for the serving of the actual thick tea. The ritual begins with a cleansing by the guests, and the host also cleanses the tea utensils in a specific manner. The guests are then served tea a prescribed manner and order. The guests follow specific rules such as placement of the tea bowl and discussions about the tea service. The tea ceremony can last up to several hours depending on the type of ceremony and food served. Matcha tea has many benefits. 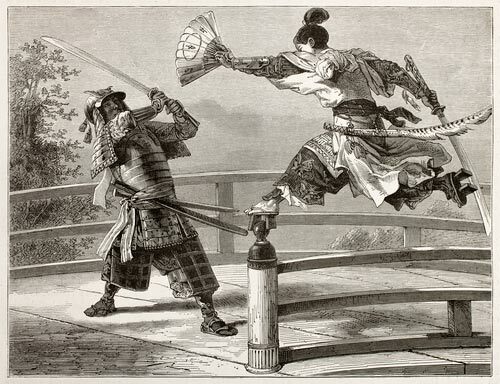 In ancient Japan, it was served to the Samurai warriors before battle because of it’s perceived strength and vitality giving qualities. In recent years many of these claims have been proven true. Camellia Sinensis, does, in fact, have detoxifying properties, as well as some weight loss properties. Matcha tea has many unique benefits because of the special way it is grown and processed. It is known for giving the drinker a feeling of calm, despite its caffeine levels. This is thought to be because of the presence of L-Theanine which creates feelings of calm. The high levels of this chemical are due to the shaded growth period before the tea is harvested. It is also extremely high in antioxidants, much higher than regular green tea. Again, this is because of the growing and harvesting process. These antioxidants, especially polyphenols are thought to have cancer-preventing properties. Matcha also has properties that can increase metabolism, thereby assisting with weight-loss efforts. The gentle stimulants that naturally occur provides, combined with the L-Theanine means there are no negative effects like practically every weight loss solution on the market today. Matcha has been shown to increase the metabolism burn fat up to about four times faster. This is due to the EGCG, which also impedes the body from creating new fat cells! 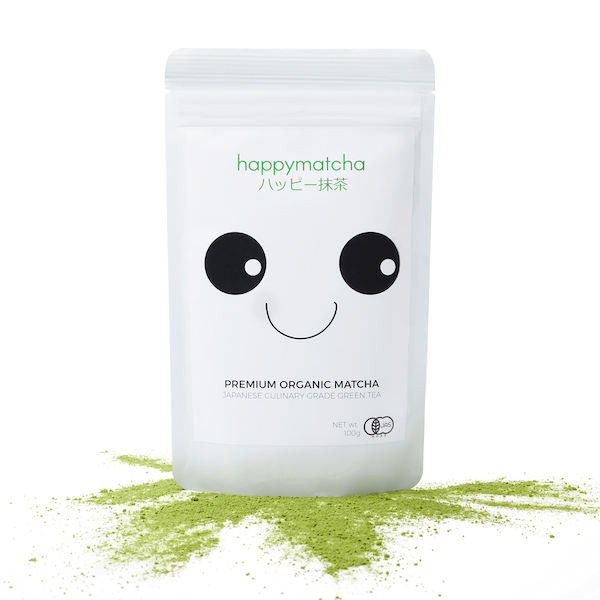 Matcha powder is extremely low in calories, having only about 3 calories per gram. A regular serving of thin tea would be made with 2 to 4 grams, so as you can see just the Tencha tea has less than 20 calories a serving. 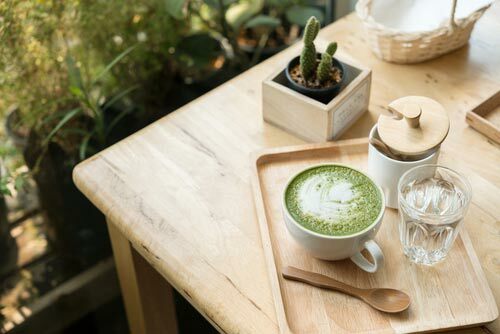 Of course, matcha lattes and other drinks that are becoming popular have ingredients other than just the matcha powder and water, so if you are watching your calories make sure you know what is in your drink. Match has even more amazing properties. Because of the period that the tea plants are shaded before being picked, match tea powder is incredibly high in chlorophyll. This chlorophyll works in the body as a detoxifier and can pull heavy metals and chemical toxins. Matcha has even been shown to improve the body’s immune system. Some components of matcha have antibiotic properties, and just one serving of matcha contains a significant amount of calcium, protein, iron, vitamin A, vitamin C, and potassium. You don’t need to spend years studying the Japanese tea ceremony to enjoy a cup at home. It is surprisingly easy to master, and excellent matcha teas are widely available now, both online and in specialty grocery stores. Preheat your Chawan with hot water and place the prongs of the whisk in the water. Ones the bowl is warm, empty it and dry with a cloth. Measure about 2 scoops for Usucha (thin), or 3-4 scoops for Koicha (thick) into the dry bowl. Sifting the matcha into the bowl will eliminate any clumps, highly recommended! Measure out 70ml for Usucha or 40ml for Koicha of hot water and set aside to cool down to about 70 degrees Celsius. Boiling water will burn the matcha and create a bitter taste. No good! Poor the water in from the sides and start whisking until all the powder is suspended in the water. For Usucha whisk in a brisk W motion to create a nice frothy texture. For Koicha go gentle and use a 360 motion trying not to create any froth. The traditional formula is to sift between 1 to 2 grams of powder, place it in a small tea bowl or chashaku, then add two ounces of hot water, just under boiling, about 175 degrees Fahrenheit. If you plan to drink more than 2 ounces of tea, and you probably do, then add between 4 and 8 grams of sifted tea for 8 ounces of water. The matcha is then whisked vigorously to dissolve the powder and create the suspension of the tea in water. You may experiment with this on your own and find that you like a stronger or less potent tea. How Much Matcha in a Day? Because matcha tea is so concentrated, even one serving will give you many of the great benefits we’ve discussed so far. However, if you enjoy the taste and want to reap even more of the health benefits, you can certainly drink more than one serving. In fact, many Japanese and Chinese people drink up to 10 cups a day! Just be sure to remember that while it does not contain as much caffeine as a cup of coffee, it does have caffeine in it, so if you are sensitive to caffeine watch how much you are drinking, as you would with any caffeinated beverage. Certainly, you can enjoy a cup without all the trappings of a traditional tea service. However, many of the elements do serve a purpose in the brewing of a bowl of matcha tea. The sifting helps remove lumps from the powder that are present in the tea. 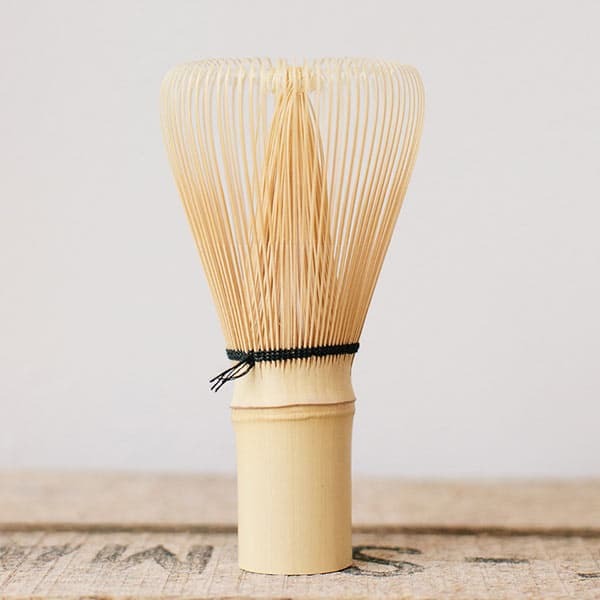 The proper type of whisk (also called chasen) and tea bowl (chawan) help facilitate the correct whisking motion to assist the matcha tea powder in dissolving. The ideal outcome in a preparation of a cup of matcha is to have light foam on top of the tea, with small bubbles, not large ones. The ideal taste of the hot drink should be grassy, slightly bitter and slightly sweet. The thick tea usually prepared in traditional tea ceremonies is brewed with the highest grade of Tencha powder. 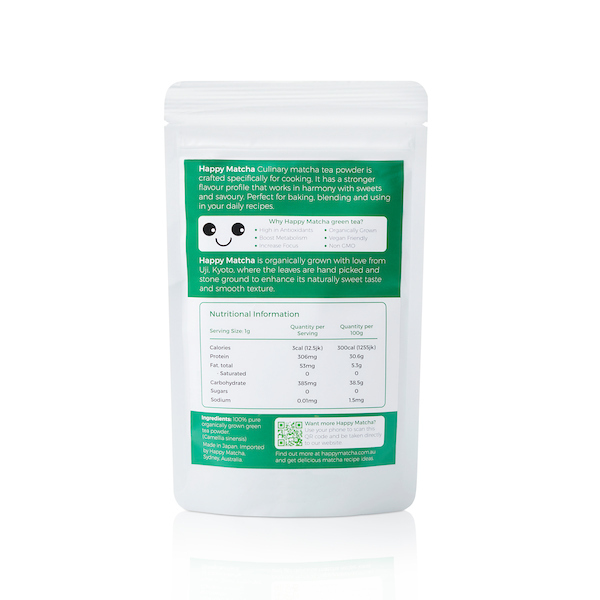 The highest grades of matcha powder have a sweet, intense flavour compared to the lower grades of tea. The grades of matcha powder differ in other ways too. Their original location on the tea bush, the way they are processed and the treatment of the leaves are all dependent upon the grade of matcha powder the tea leaf will eventually become. Traditional matcha green tea – Powder and hot water whisked in the traditional manner. Matcha green tea latte – Dissolved with hot water, and steamed milk poured over the top. Matcha green tea milkshake – Add cooled matcha green tea to vanilla ice cream and cold milk. Blend to desired consistency. Matcha can be used to flavour everything from cakes to cookies! Here are a few ideas of ways you can use matcha powder in your baking. Ceremonial grade tea powder is used for, you guessed it, ceremonial tea purposes. This premium powder is made with the youngest tea leaves and is processed in the most careful manner. The texture is delicate, and the leaves are ground slowly to make sure that the grindstones don’t heat up and change the delicate flavour of the tea. This grade of Tencha is sweet and grassy with very few bitter notes. 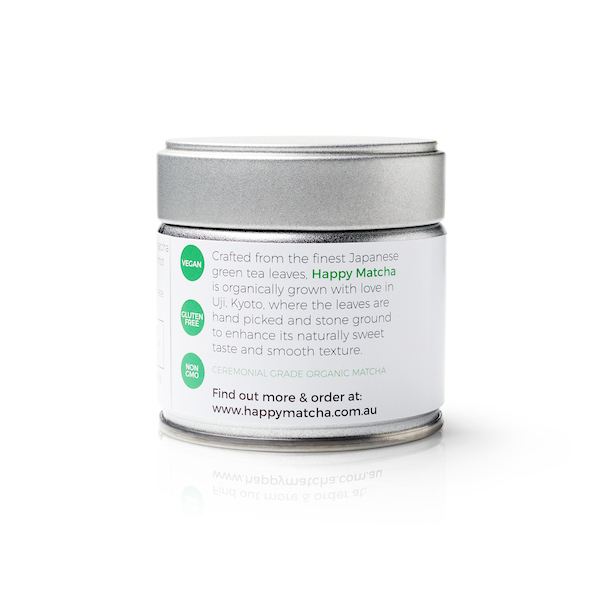 Ceremonial grade matcha is made with leaves that have been entirely deveined, and all stems have been removed. Ceremonial grade powder should be used only as tea. It is easily recognisable because of its vibrant, green colour. The delicate taste will be spoiled by milk, chocolate or other ingredients. While this is the most expensive grade of matcha, the beautiful flavour, colour and texture are well worth it! As with any organic crop, it is grown without herbicides, pesticides and using natural fertilisers. The tea bushes are also protected from environmental contaminants. While this tea is certainly organic, the flavour profile is not the same as it is with conventionally produced matcha. 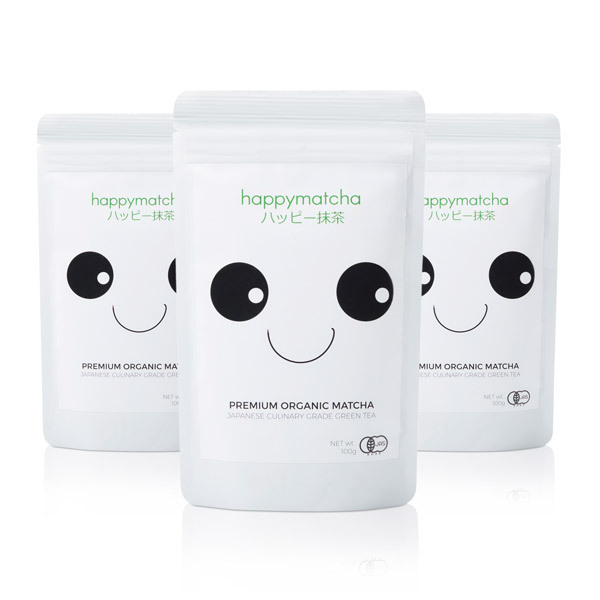 Because matcha derives its flavour from the amino acids produced by the growing and production process, the taste of the organic matcha is less intense as the amino acid profile is lower. 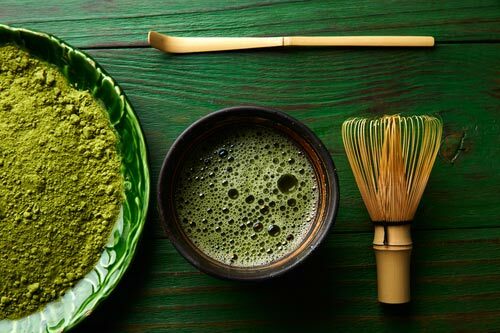 We hope this guide on Matcha has helped you learn what makes it so special, and we hope we’ve inspired you to try it in one of the many recipes out there.